Embattled Senators owner Eugene Melnyk has once again incurred the wrath of some his team's fans after making contentious comments on an Ottawa radio show Friday morning. 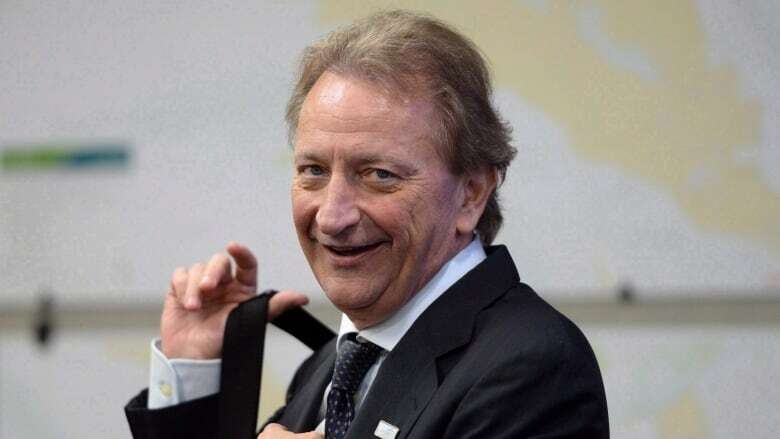 Speaking on CFRA 580, Melnyk accused Ottawa Mayor Jim Watson of "mouthing off," implied that the team is better off without traded fan favourites Matt Duchene, Mark Stone and Ryan Dzingel, and said that fans are "pissed." He also tore into the Ottawa media, and recounted an incident where he accused one reporter of "bush league" tactics. Melnyk did not name the media member in question, but TSN 1200 reporter Ian Mendes claimed on Twitter that Melnyk was referring to him. "For balanced and thorough coverage of the Senators, you can listen to Ian Mendes on Ottawa's TSN1200 and read his columns on TSN.ca," the sports network, which has the Senators' regional TV rights, tweeted in response. While Melnyk also touched on talking points that should have mollified the Senators' fan base, gushing over Ottawa as a city and criticizing the rebuild of the rival Toronto Maple Leafs — "somebody forgot about defence," Melnyk said — the "#MelnykOut" hashtag was trending on Twitter as of Friday morning. Melnyk's most direct broadsides were directed at Watson, who has voiced his criticism of the Senators owner for his part in a bungled arena development deal at Lebreton Flats, a couple of blocks away from Parliament Hill. "He is so lucky that I keep my mouth shut," Melnyk said on the radio show. "I'd be very careful if I was him walking around mouthing off, because it's very counterproductive. Melynk also defended Ottawa's fire sale at the trade deadline, when top scorers and pending free agents Stone, Duchene and Dzingel were dealt within a matter of days. Senators general manager Pierre Dorion had said after the trades that the team "went to the wall" to sign all three players. "If you think about it, they're all looking for seven- or eight-year contracts at the age of 27, for anywhere from $8 to $10 million US a year," he said. "Five, six years from now, they're all going to be in their almost mid-30s, and you're going to have all these kids coming up." After Senators clean house, who's left to lead — and who will stay? Melnyk's interview on CFRA followed an appearance on Toronto's FAN 590 where he was largely restrained, save for a comment about some of Ottawa's fan base not being "real fans," possibly a veiled jab at the crowd-funded campaign to get "#MelnykOut" billboards erected in the city. The comments come as the Senators sit last in the NHL standings after enduring several months of mishaps on and off the ice. The Senators will try to salvage one win on a three-game Western Canada swing when they conclude the trip in Edmonton against the Oilers on Saturday.